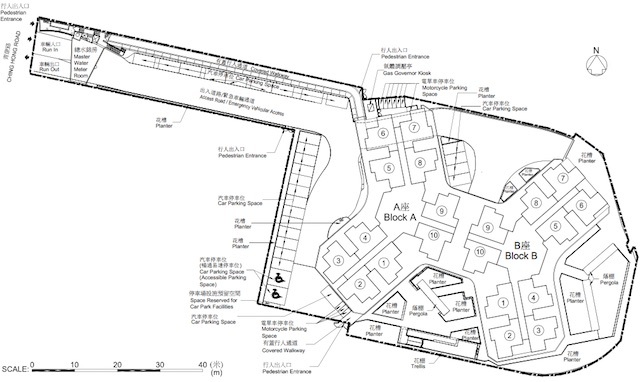 This is one of the five December 2014 HOS Project by Hong Kong Housing Authority. Ching Chun Court, 2B Ching Hong Road (map) will have two tower 26 storeys blocks with total of 465 dwelling units on a 0.5 Hectare plot (930 DU/ha). Ching Chun Court is located about 1.5 km from Tsing Yi MTR station. 12 km to Tsim Sha Tsui MTR Station, 2.5 hrs walk away. Typical 440 sqft dwelling unit cost betwen HKD $2.7M (high floor) and $2.2M (low floor). Tsing Yi Town Lot No. 184, 50 years lease commencing from 14 August 2014. Project to be complete by 2017.